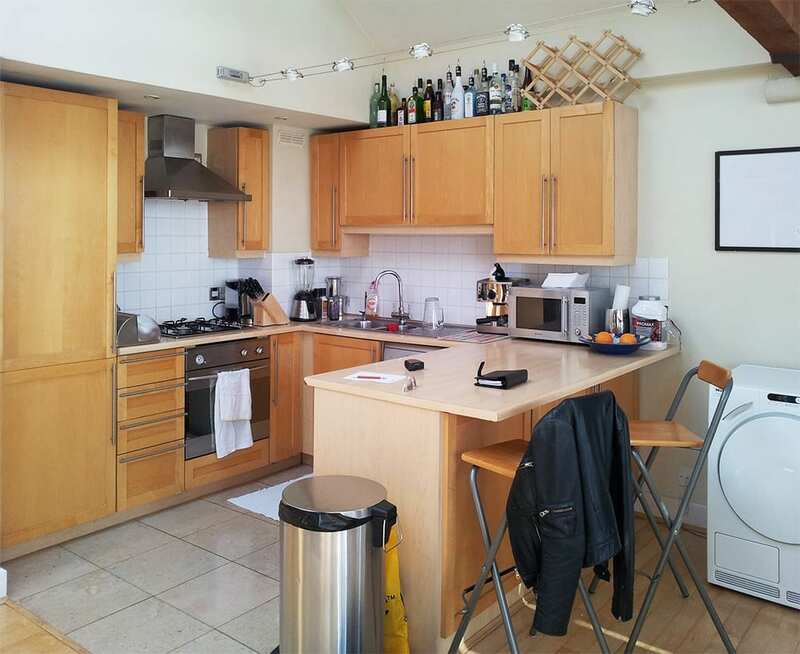 Amberth project managed the design and build of this kitchen in Tottenham Road, London. A large kitchen island was built in the center of the kitchen, which incorporated tall storage pull out units, as well as a built-in washing machine and dryer cupboard to provide more kitchen space as well as a dining area. The old floor was removed and replaced with wood laminate flooring to compliment the red, white and brown colour palette whilst enhancing durability. 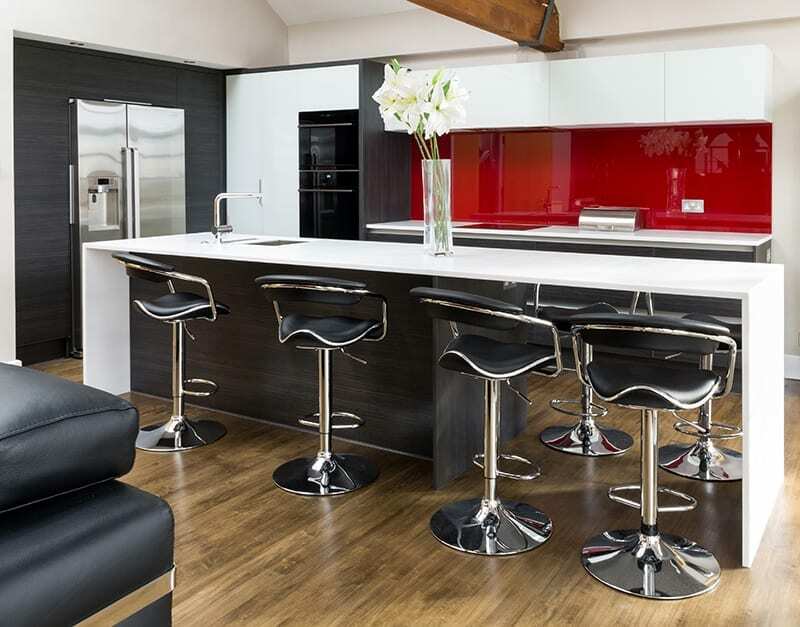 The red painted glass splashback adds a playful touch to the white Black Hacienda Egger finish kitchen doors. The space has been transformed into a spacious cooking and dining area thanks to the long kitchen island that functions as a breakfast bar and small dining space.